A faux rook piercing is placed straight through the ear between the top of the ear and the forward helix area, unlike a true rook piercing which is pierced through the "shelf" of tissue under the forward helix. This is an excellent area to really show off a piece of jewelry, because the jewelry faces directly forward rather than upwards with a traditional rook. 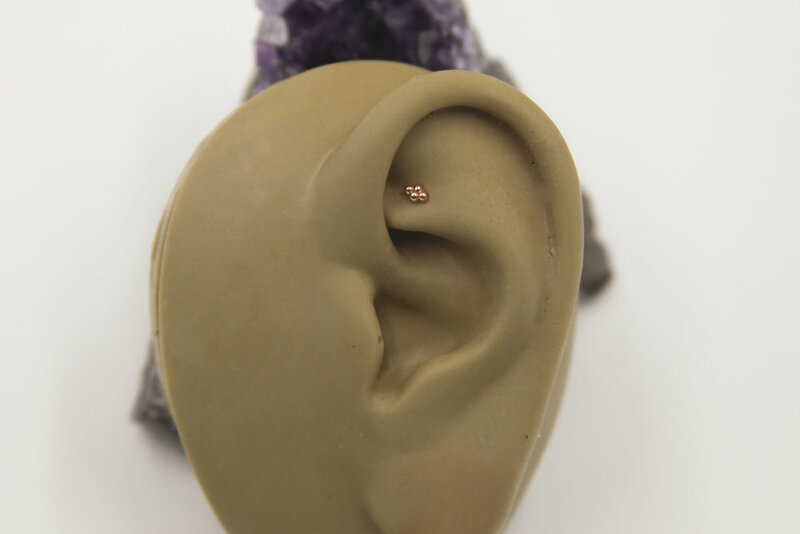 This piercing has a 6-9 month healing time.